Advanced technology and professional meteorologists can save many lives by predicting hurricanes, tornados, tsunamis, and other natural disasters. Having information ahead of time enables us to prepare—to evacuate, to run to storm shelters, to stock up on food and water, to put gasoline in generators, or to board up the windows of our homes. 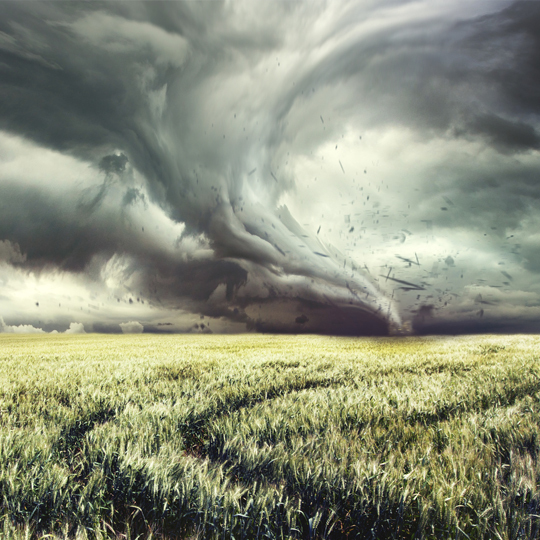 But do we follow God’s counsel to prepare for the inevitable storms of life? Believers and unbelievers alike go through these storms. The difference is that believers have Jesus in the boat with them! In fact, how we respond to the adverse circumstances in life is a huge witness to the reality of Jesus in our lives. In recent months, several of our close friends in the Asia-Pacific region of the Navigator Worldwide Partnership have been facing extreme hardship. A friend who worked with us in a campus ministry discovered he has lymphoma. Two others, in their early 40s, recently learned that they have advanced stage cancer and are undergoing treatment. In the past few years we have lost friends to cancer. In a few cases, the surviving spouse was left to care for very young children alone. I have seen each of my friends weather these storms with tremendous faith and hope. That is not to say that they experience no fear, or that they completely transcend the suffering. They don’t. But despite the hardship, they demonstrate a peace that passes understanding, a hope for the future, and a solid stance in knowing that nothing can separate them from the love of God (Romans 8). I have asked myself this question: How is it that these men and women have been able to face these challenges with such hope and peace? What have they done to prepare? A few years ago, a close friend and coworker called to tell me that his wife had been admitted to the hospital and was also found to have cancer. As time passed, I had to ask him what sustained them through a time like this. What had made their faith grow stronger than before? What enabled them to see the eternal, and to gain the peace that comes from knowing that God is in control? His answer was profound. He said that for many years they chose to live in a close relationship with Jesus, and to stay committed to the spiritual disciplines of being with God in His Word and in times of prayer. They prepared for the storms of life by being anchored in relationship with Jesus. Paul, writing in Ephesians 1:18-20, calls us to know Jesus deeply. "I pray that the eyes of your heart may be enlightened in order that you may know the hope to which he has called you, the riches of his glorious inheritance in his holy people, and his incomparably great power for us who believe. That power is the same as the mighty strength he exerted when he raised Christ from the dead . . ."
And, the writer of Hebrews advises us to follow the model of Jesus as we go through hardships. "And let us run with perseverance the race marked out for us, fixing our eyes on Jesus, the pioneer and perfecter of faith. For the joy set before him he endured the cross, scorning its shame, and sat down at the right hand of the throne of God. Consider him who endured such opposition from sinners, so that you will not grow weary and lose heart." Jesus, in Matthew 7:24-25 said, "Therefore, everyone who hears these words of mine and puts them into practice is like a wise man who built his house on the rock. The rain came down, the streams rose, and the winds blew and beat against that house; yet it did not fall, because it had its foundation on the rock." Preparation for life’s storms, as you can see, is about developing strong foundations in Jesus—our rock. Building that relationship is possible because Jesus, on the cross, opened the possibility for us to anchor our lives in Him. Now it is up to us to respond to Him by entering that relationship fully. Alan Ch’ng is an International Vice President. Before joining the International Executive Team, Alan led our Asia-Pacific Region for more than six years. Alan and his wife, Connie, moved to Colorado Springs in April 2013. They have three grown sons.